Skiing on Northeastern mountains is enjoyable and something you want to try if you haven’t yet! The elevations are low, and there is plenty of snow on the ground during peak season. There may be a mix of natural and artificial snow, but fake snow is so advanced in most of the mountains that you barely notice the difference. A handful of mountains offer long steep slope on their westernmost peaks. Thus, the northeastern mountains are challenging, with many steep trails, and exciting! The ski resorts in the Northeast often emphasize family skiing, but most have a good variety of terrain for everyone, from first time skiers to Olympic skiers. The overall quality of the winter experience can vary, however. So here is a combined list of ski mountains and bike mountains in and around the North East that we can say are high quality! Located in Franconian Notch State Park, Cannon Mountain is a true local mountain, where real skiers and bikers take part in cruising through the trees. There is no denying that the terrain here is favorable to expert skiers and bikers, with many bumps and moguls scattered across the mountain. You will also find a renowned training center for ski competitions. The tickets are considered reasonable for skiers and bikers alike. Biking at the Kingdom Tracks in the fall, with flashing yellow and red leaves all around, is one experience that will always make you want to go on a biking trip. This 150-mile circuit, which connects old farm roads with narrow, individual roads, offers the best of downhill mountain biking in Vermont. The trails are perfect for mountain biking, especially in autumn, because the foliage is stunning. In a moment, you are making tight turns in the coronary bypass, and the next, you are close to the pines in the webs. It's such a great network of trails that you'll want to keep pedaling even when your legs are contracting! You'll have to go three hours north of Boston to get to Kingdom Trails, but it's worth it! Perhaps the best thing about this mountain bike park is the accessibility to Bear Hill Pond, the best spot to cool off after a long bike ride. There are different routes for different levels of adventure depending on your mood. Bear Hill is the most challenging route here, but at the end, there is a nice reward: a great descent! Loon Mountain is a full-service ski resort close to an Interstate highway. The two separate sections of Loon are located on three different peaks within the White Mountain National Forest, with a difference in height of 2,100 feet. The trails are well divided for different skill levels. There are some reserved for novices, along with many challenges for experts. Much of the Loon terrain is north-oriented, so snow conditions here tend to be good even during the hottest winter days, and last longer in spring skiing. If you want to experience some serious slopes on a tall mountain, Whiteface is undoubtedly the number one in the East. While both expert skiers and beginners are well catered for in Whiteface, experts tend to gather here. Even many of the blue runs are considered difficult here, so bring your A-Game. This ski area has something for everyone. Intermediate skiers can enjoy the Juggernaut, a 6 km long trail that is Killington's longest ski slope. For the more vertical path, check out Great Eastern Trail. The park rats can enjoy six terrain parks, including The Stash, which has over 65 features. Killington Peak From the lower base on Skyeship, you can take three lifts to get to Killington Peak! Do you love skiing? Do you want to ski some new monsters, but are scared of shipping your skis because they might get damaged along the way? This article focuses on solving that problem for you based on our experience. Shipping skis is something we all consider before we order them. These tricks will help ensure that your ski gets to you in one piece and in great shape. Shipping skis is a better option when compared to flying with your ski, because it saves you the stress of carrying excess or overweight luggage, and allows you to travel with less weight. It also helps you avoid the trouble of waiting in line at the airport with them, and will make your trip a lot more easy and restful. One of the most challenging phases of shipping skis is their delicate shape, which makes it difficult to find a box to pack them in. The right ski box is essential to make sure your skis reach their destination in one piece. Regardless of what you are sending, there are some rules to make sure you have the right box for the job. Use a box strong enough for what you are carrying; as much as you can, try to avoid re-use of cartons, especially if they are damaged. But if you must get a re-used box, it is essential to ensure that the box is strong enough to survive being handled several times during transit. Also, make sure to reinforce it with adhesive tape, especially in the corners. The last thing you want is a broken ski after you have arrived at your destination. Make sure your container has enough room (not too small). You can say that this is the case if the contents are pressing against the walls of the box. Make sure your box is not too big either (try and get the perfect fit for your skis); if your skis are moving too much, there is a lot of internal space, and this might lead to it being damaged when shipped. It does not seem like a big deal, but if the package is well treated in the process of shipping, it will prevent delaminating of the tips, edges, and tail of the skis. Bicycle storage is an important consideration when buying a bicycle. Leaving your bike in an enclosed fence is not the perfect solution for storing your bike all year round. Doing so will lead to damage to your bike components from elements such as dust, rust, wear and tear, all of which will affect the longevity of the bike, and make your bike an attractive item for theft. For that reason, it is preferable to store inside the house (apartment, garage). From here there are many different solutions to optimizing the space for bikes. For example, a stylized wall bracket will allow you to display your bike like a piece of art. In addition to finding a place to store your bike, you should also look around for boxes and covers that protect your bike when storing a bike long-term, or when moving a bike. Storage Space. The ideal bike storage solution is mainly dependent on the available space that you have in your home, garage, or apartment. In general, storing racks that allow you to store the bicycle vertically take up less space. Wheel Size. Make sure the width of your tires fit inside the rack. Bike Weight. If you're storing a bike in your apartment or house and you want to put a storage frame on the wall, consider the importance of proper drilling. Double check the weight limits of the bike rack and your bike. Garage Storage. One option is to keep your bikes in the garage. If you're like many others who use their garage to store tools, cars or other objects, then you need a storage solution for bicycles that maximizes your space and allows you to store your other stuff too. Wall Storage. If you are looking for a practical, elegant and functional bicycle storage solution, this option is for you. Use wall shelves to create a beautiful form of art in your home while keeping your bike safe from harm. As with anything, there are different price ranges of wall storage racks, and these can easily cost a few hundred dollars. Independent storage racks. Many types of bike storage racks are available that house one or more bikes in a rack unit that can be moved around. Some have bases that allow them to stay free and keep the bikes on both sides, while others only have bicycle hooks on one side. Lift Storage Hoisting a bike is an excellent alternative to the standard luggage rack and is ideal for high ceilings. The hoist raises the bike so you can free up space on the floor of the garage. Welcome to the beautiful world of road cycling. Road bikes can serve as a means of exercise, sports (bike race), and fun simultaneously. But first, you should understand what it takes to buy a bike. Consider how many miles you can register per week or year. And think about your tendencies in buying other things. For example, do you like high-tech gadgets, dig tricks, or are you satisfied with simpler designs? Do you continuously ask for the highest quality or are you more likely to look for reasonable quality and lower costs? This should give you guidance in the type of bike that fits your spending habits. Furthermore, it is useful to know how much you want to spend (do you need a new bike or a used bike), as it is a quick way to focus on the selection process of the proper road bike for you. Start by trying to figure out what kind of bike you want, a bike racer, hybrid bike or a road bike. There are many types of bicycles and knowing what you will do with them will significantly reduce the search. How often are you going to take a walk in a day? How far? Will it remain on paved surfaces or will it explore natural surface roads? If you will ride on the sidewalk or just for exercise, a road bike or fitness bike is a good option. A comfort bike or cruiser bike is the best choice for short and informal trips. If you want a bike mainly to ride to work, an urban bike might be the best. If you want a bike to go to work and exercise, and you think you can ride both on sidewalks and natural surface paths, a versatile gravel bike is probably the most suitable. If you travel entirely off the road, a sturdy mountain bike is the best option. Sometimes more than one bike category may be appropriate. Once you restrict things to some styles, you can focus on specific candidates. Do not buy a bike that is not in line with what you want it for. Do not buy a pure racing bike, and complain because it's not performing effectively on the sidewalk. Beware of any bike that needs significant changes to make it work for you: the exchange of components is expensive and large adjustment settings (such as adding a super-long rod) can completely change the character of the bike. Some adjustments are reasonable, but if you find a long list of things that you would like to change, compare to see if there is another bike that best meets your needs. You may not understand how to fit or handle a bicycle you read up on it. If you’re not 100%, you can always rent a bike; some local bicycle retailers have demonstration bicycles that you can rent or borrow, and many bicycle manufacturers offer free demonstration days in parks and shops all year round. Talk to a seller to find out about your options. Don't Forget To Buy Accessories. Many new riders reserve a certain amount for a bicycle, but they completely forget the accessories they will need. At the very least, start with a helmet, bottle cage, bike lights, a quality shorts with suede putty, and a pump. Tire levers, replacement tubes, and a small pump or inflator should also be purchased. Buy once. It is cheaper to get the frame, wheels, and components you want to upgrade initially, rather than adding on components down the road. Proper fit is much more important than making a good deal. Be careful if an agreement seems too good to be true. Manufacturers offer the highest possible value in every bicycle model. But they also want to sell things. Sometimes compromises are made on the specification of components or on the quality of the frame to obtain a more attractive price. If a bicycle you're interested in has parts or features that do not look like because of their cost, try to find out which corners have been cut, or if the bike is stolen (see a bike registration database). Choose the features and components that best meet your needs and then find out how much the bike costs. This way, you will know if your performance expectations match your budget. Get ready to spend a little more because, usually, you will need some essential accessories with a new bike, such as a bottle of water and a cage, a bicycle computer, a new helmet, etc. What is the fastest growing sector in the bicycle market? Electric bicycles, or e-bikes as they are known. On a recent trip to New York City, a BikeLord noticed that there are a huge number of electric bikes zooming around the city. And yet, what are the reasons that these e-bikes are so prevalent in NYC? New York is an incredible city for bikers, in terms of bike lanes. According to Curbed, the “city’s bike network is currently about 1,190 miles”, with new lanes being added every year. In 2017, New York’s Department of Transportation (DOT) promised to add 50 miles per year. These lanes protect bikers and help them to feel secure while riding. Beyond that, electric bikes provide a rapid way for bikers, especially delivery drivers, to get to their destination in an eco-friendly and efficient manner. Interestingly, e-bikes were illegal in New York City until July of 2018. Many broke the law and had their bicycles confiscated and/or paid a $500 fine. Fortunately, due to the popularity, prevalence, and inevitability of ebikes, the DOT has passed a law that allows for pedal-assist bikes, which electronically boosts rider speeds while still requiring them to use their legs. The law will still require ebikers in New York City to maintain speeds of 20mph or less. The alternate, throttle ebikes, still remains illegal in NYC. Yet it’s not just New York City; the number of ebikes has been increasing all over the United States. According to Forbes, e-bikes are “a small, but growing market in the USA”, with roughly 270,000 bikes being sold last year (2017). We’ve already seen it in Boston, with people riding their bike in from Boston suburbs like Cambridge, Medford, Brookline and Somerville. Many prefer them to regular bicycles, since on a hot summer day you can arrive at work relatively un-sweaty. A mountain bike is more than just a great way to get outside, travel long distances, and exercise, your bikes becomes like a close friend. A lot of people grow up on mountain bikes during their formative years into adulthood, and so choosing the right bike becomes a very important decision. It is thus never a surprise to see individuals spending a lot of time buying their mountain bike and asking for pro tips to help them with the purchasing process. And yet, a new mountain bike will often run you $5,000+ dollars, so riders often opt for buying a used mountain bike instead. In this case, it’s about how to optimize to ensure both a good experience and high durability, while saving some cash for other purchases (like a bike helmet or other accessories). People looking to buy used bikes from various sources in New England, especially Boston and New York, should be aware of some important tips in their decision making. Identify Your Riding Needs Getting a used mountain bike that is perfect for you requires you to determine what you actually want out of the bike. Finding the right used mountain bike in Boston and New York City is determined by your riding style and preference, keeping in mind the surrounding trail types – will you be riding downhill or cross country? Will you go off jumps? How many gears do you optimally need, and do you want thumb-shifters? Riders typically consider important aspects of a mountain bike like wheel size, tire type, and frame material (aluminium, carbon). They also need to decide on the rear travel type they want, or whether you want a hardtail or a full suspension mountain bike. Be Sure its not Stolen Buying or purchasing a used mountain bike also involves making sure the bike is truly owned by the individual putting it out for sale. Unfortunately, thousands of bicycles are stolen in the United States each year. Check any purchase documents or receipts, if available, and run the serial number through any of the online bike registry databases. Finally, ask good questions and remember that if a deal seems too good, it probably is too good to be true! Conduct a Thorough Inspection Whether you are buying from a store or from an individual, you should conduct a thorough check on any used mountain bike you wish to buy. Ask about the different bike parts and ask when they were last serviced or repaired. Check the rear shock, suspension linkage, pivot bearings, handlebars, chain, wheels and look for any cracks in the mountain bike frame to be sure of what should be serviced before speeding off on your next adventure. Get Reviews and Recommendations for the Right Store Ask questions from your friends who ride about the best bike stores (online or offline) that they trust for used mountain bikes. Their reviews and recommendations will no doubt be helpful. 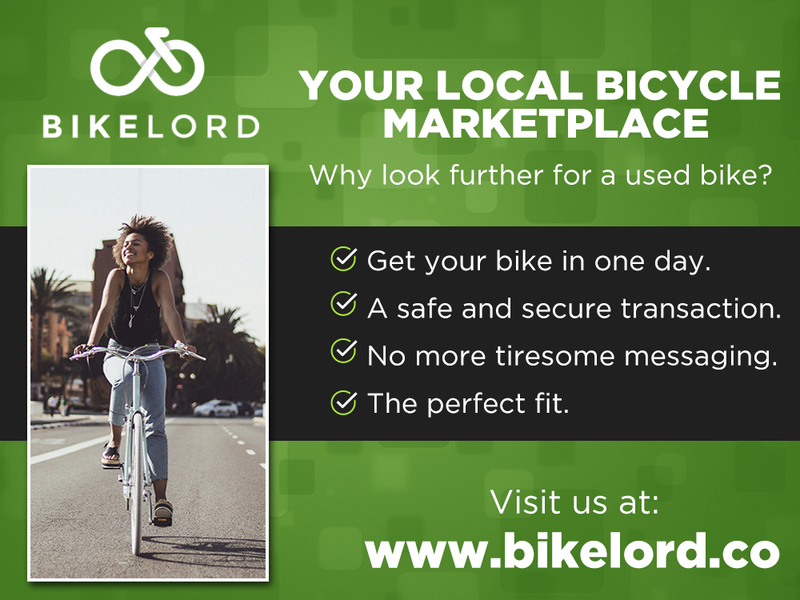 For individuals in New York, Boston and the rest of New England, feel free to contact us at BikeLord with any questions or concerns! We are reliable and completely dedicated to helping you. Bikes are machines…incredible machines and they deserve the right care and attention. Regular maintenance will help keep them running smoothly and reduce wear and tear. This, in turn, can help you save money in the long run and avoid huge expenses from repairing old or worn out components on your bikes. In the day to day business of bike repair or maintenance, some bike shops carry out their duties very well, while others can be very unprofessional. To find out why some bike shops perform better than others and the links between them, we did a little study in New York City on what to expect when you visit a bike shop for repairs. We found out that road bikers, mountain bikers, and bikers generally are passionate about their bikes and the repair shops they use. How many times should I repair my bike? The frequency with which you need to repair your bike depends entirely on how often you ride. For a person who rides three times a week during the summer months, a general service of once or twice a year should suffice. In all kinds of conditions, visiting the repair shop four times a year for servicing will help keep your bike at the best condition. That said, some people choose a yearly tune-up. The bike shops that are close to home are essential for the comfort of the rider. Everyone has been in a situation where they need a repair quick. Thus, even if a store is not near home or at work, it is best that the store is on a route that the cyclist often visits. Usually, bike riders want the shop staff to be friendly, informed and helpful. This means providing objective information to the riders, taking care of riders’ preferences, and being able to separate the two. When a client searches for a bike accessory, the staff should be able to describe the features and benefits of each product thoroughly. Bike fitting is definitely a science, and a good team will be able to get you an exact fit. Many bike riders told me that they would do everything possible to work with a good mechanic. When a mountain biker or a road biker takes his bike to the store, he wants to trust the person who works on his angel. For many bikers, the choice of bike store has to do with the mechanic. Bike riders will even travel to a store just because a specific mechanic works there. Many bikers have commented that poor mechanical work means they will not return to the store. For other riders, it is essential to observe the maintenance area. A carefree and disorganized shop is associated with sloppy jobs. Cape Ann Loop: The Cape Ann Loop features classic New England style views. It begins in Gloucester and travels through the coastline of Rockport. The trip is about 40 miles long and takes roughly 2-4 hours to complete. It is only an hour from the city, and a perfect way to spend your Saturday. South Shore: The South Shore of Massachusetts has a bike path that is roughly 35 miles long. This path is perfect for inexperienced bikers because it is mostly flat. Duxbury Beach: Duxbury Beach has a bike trail that is shorter, about 12 miles long, for those looking for a less intense ride. Once you are done you can hang out at the beach and maybe even go swimming. The trail is about an hour from Boston. Willowdale State Forest: This is a great trail for Mountain Bikers. The forest is split into two parts with 40 miles worth of trails to discover. If you are into fishing, make sure to bring your rod with you because fishing is allowed in Hood Pond. The trail is about a 50 min commute from Boston, in Ipswich. There are no fees to worry about with any of these trails, so be sure to get outside this weekend and plan a trip with friend. When you take your bicycle for a ride, you should be prepared to repair some bicycle parts in case of an emergency, especially when there are no bike mechanics around. A collection of handy bike tools will be of help to you. The tools you will need depend on the bike parts or route you are in, how close you are to the path of civilization and your mechanical capabilities. If you have a flat tire while you are traveling, you will need a way to inflate the tire after repairing or replacing your tire. Always carry a small hand pump that fits your bicycle frame. A common problem faced by bicycle riders is a flat tire. Always carry a patch kit and spare tube with you. If you happen to encounter a puncture, you can probably use a patch to repair it. For large burst and perforations, a tube replacement is the best choice. A tire lever is very important when you can’t find a bike mechanic; it helps you remove the tire from the back of the wheel when you are repairing a tire. On a long day’s trip, especially in areas where there are no bike mechanic chops and other facilities, it is advisable to carry a greater quantity of bicycle tools. Fortunately, most modern bicycles are designed so that you can use a relatively small number of simple tools to perform common repairs and adjustments. On a long ride that include many tracks or dirt roads, it is advisable to clean and lubricate some bike parts from time to time to maintain good performance. Carry a small chain lubricant container and some clean clothes to make the bike run smoothly. Spare wheel: tires do not need to be replaced frequently. But when traveling in remote areas, transporting a spare part may be easier than finding a fitting replacement. Replacement chain links: if the chain breaks while riding, you will want to have a chain link replacement. They are small and light, so get one. Replacement bolts and bolts: The average cycling can shake even the tightest bolts and nuts over time. If you are new to tours, check with your local bike mechanic before your trip to find out what bolts and nuts you should carry. backpacks containing the essentials of the repair kit will be useful and leave room for water and other stuff. Why Do People Enjoy Vintage Bikes? The Colnago Arabesque is a very rare bicycle that was only manufactured between 1984 and 1985 in limited fashion. Nobody knows just how many were produced, which makes it one of the most difficult vintage bicycles to find. The Bianchi Tour de France 1953 was one of the first bikes to incorporate the double chain set. It was only in production for one year. and was used by a champion by the name Fausto Coppi. Coppi won the Tour de France using this bike. Among vintage bicycles, Bianchi is the most common. This is because Bianchi is the oldest bicycle manufacturer still in existence. They’ve done this by consistently breaking through barriers and engineering bikes in more creative ways than the last. The Colnago Oval Cx utilized aerodynamics the way no bicycle had ever done before creating a faster, lighter bike. Craigslist and eBay are the two most popular ways to buy a bike online, but both of the online retailers have aggravating aspects that users have dealt with for over two decades. In a typical eBay bike sale there are three steps. The seller must first disassemble the bike for shipment and then ship the bike in a bike box, which costs approximately $75-$125. Finally, the bike must be reassembled by the buyer. The typical bike seller and buyer don’t have the tools or know-how to assemble/dis-assemble a bicycle, but a local bike shop will do the job for $50-$75. For that reason, add between $100 and $200 to the final price of most bikes sold on eBay. Craigslist improves upon all the worst parts of eBay, yet still has big problems of its own. For the most part, there aren’t any shipping costs when you use Craigslist because everything is bought and sold locally, but there also isn’t any user rating on Craigslist. This causes communication breakdowns between buyers and sellers because there’s no incentive to maintain a clean reputation, it’s completely anonymous. Since everything is done anonymously, users aren’t afraid to give low ball offers, ditch meeting appointments, or even sell a stolen bike. Once a meeting is finally set up, it is often held in a sketchy location with a person you know nothing about. Buying a bike online should not have to be this difficult. To quote Wired Magazine, "The vehicle of the future has two wheels, handlebars," and for good reason! How do you get to work in the morning? Are you taking the Green Line? The Commuter Rail? Maybe you’re driving 10 miles from a nearby suburb. Whether you live in or outside of the city, a daily commute may cost you some money in one form or another. This is one reason why you should invest in a bike. Let’s say you live 10 miles from where you work and you use the MBTA to commute to work each day. A 10 mile trip might involve a ticket purchase for the Commuter Rail ($13.50 round trip), a ticket purchase for the Green Line ($5 round trip), or one of the two. These costs become part of your daily routine and can go unnoticed. Even if you don’t commute through the MBTA, and instead use your car for your 10 mile commute, similar costs can pile up. The American Automobile Association estimates the daily cost of operating a car at $0.585/mi (Schindler). This means a 10 mile commute (20 mile round trip) would cost you approximately $12.00/day. Just like public transportation costs, the cost of driving your car to work each day could go unnoticed. Think about buying a bike as an investment. Buying a used bike for $200 would pay for itself in less than a year, and just over a year if you decide to bike to work only 3 days a week. Don’t let the daily costs of your commute go unnoticed and invest in a bike to save money in an enjoyable way. Use our app, which is available on both iOS and Android! 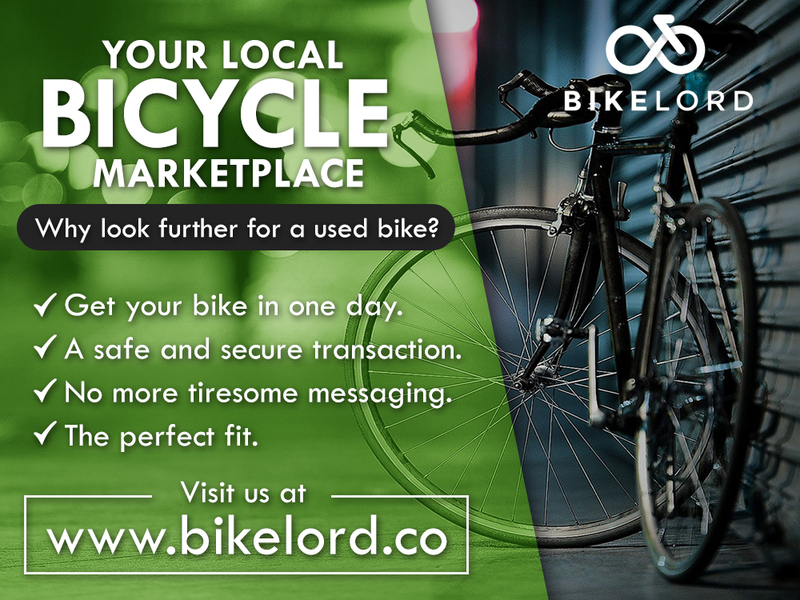 We are very excited to have launched in Boston, and are helping people search out the perfect used bike. We offer delivery, and a number of features that make us the most convenient way to buy or sell a bicycle. We can even do a bike tune up prior to delivery, and are probably the cheapest bicycle repair in Boston! If you're in the marketplace for something affordable, vintage, stylish, or fast, we have it, or will have it soon. We are also constantly on the lookout for ways to improve, and for feedback, and would love to hear from you! Visit the local bike shops in Boston, Somerville, or Cambridge! Local bike shops in Cambridge and Somerville typically have a limited supply of used bikes, since they have a limited amount of space, but there are often a couple of used bikes in the back. The future is green, and many of the largest cities in the United States are making moves with bicycle infrastructure. Boston in particular has taken an aggressive approach, with a five-year action plan that, among other promises, states it will build out 21 additional miles of cycle track.The cost of the construction is estimated at $30 million, but it is a small price to pay for a city that boasts nearly 700,000 inhabitants, and nearly 30,000 bike trips per day in just a few locations that were recorded in a recent study on bike commuting rates in Boston. All of this is part of Boston’s Climate Action Plan, which has made it a goal to increase bicycle commuting rates ten percent by 2020. Although it might seem like a lot, the number of bike trips more than doubled from 1.9 to 4 billion between 2001 and 2009. 10 percent may not be unrealistic for a city that has a lot of green lanes, and plans to extend their safety precautions for bikers. The trend may extend to the rest of the United States; 43 of 70 largest cities saw cycling rates rise, due to increasing investments in infrastructure development.